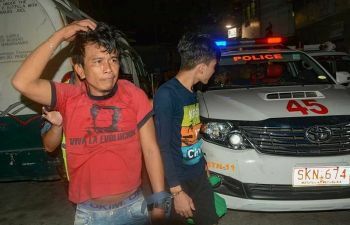 AT LEAST two police officers have been subpoenaed by the panel of prosecutors handling the case of Police Superintendent Michael John Deloso, who survived an ambush in November 2018 in Cagayan de Oro City. Regional State Prosecutor Merlyn Uy said the subpoena was issued last January 7 as the panel awaits their counter-affidavit before it releases a resolution in relation to the frustrated murder charges filed by Deloso against the two officers. The police officers, identified as Senior Police Officer 1 (SPO1) Ian Quitoriano and PO3 Elmer Arrabi Jr. were given 10 days to submit their counter-affidavit. Deloso filed frustrated murder charges before the City Prosecutor's Office last December 20. After his "leave of absence" lapsed on January 9, Deloso applied for an extension of his sick leave for another month, per his physician's advice. The request for extension is still pending approval.